I apply this exfoliating product every other day at night-time (occasionally every night). 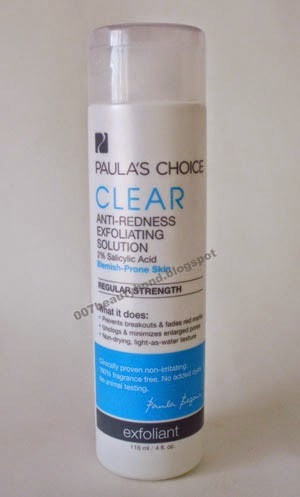 Exfolianting with the Paula's Choice Clear Regular Strength Anti-Redness Exfoliating Solution With 2% Salicylic Acid does a good job at geting rid of my skin flakey patches, helped to unclog some pores and also reduced some redness of occasional breakouts (I think that is mainly due to the anti inflammatory properties of the BHA). 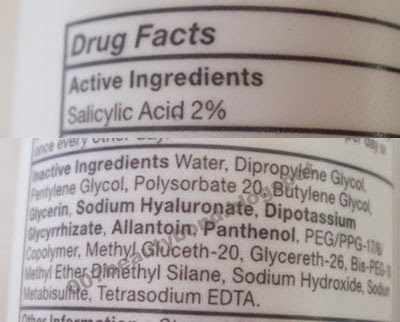 This product has a water-like texture and is fast absorbing, also contains ingredients (Sodium Hyaluronate, Dipotassium Glycyrrhizate, Allantoin, Panthenol) that provide benefits to the skin. An exfoliator like this one makes all my other skincare like moisturizers and serums be better absorbed by my skin, which is a plus. This product is currently a staple in my skincare routine and I also find that the price is okay considering the good results it gave me. 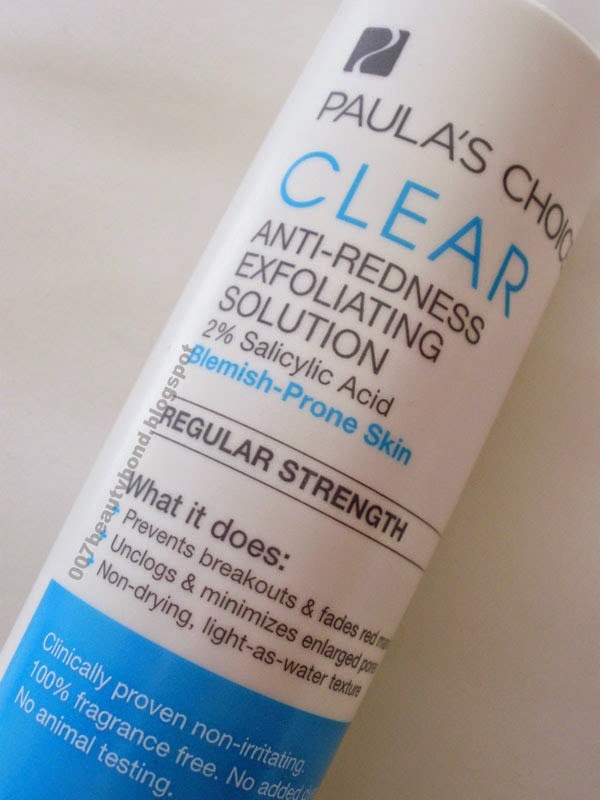 Overall: An very good BHA exfoliator that truly works to help skin become smoother, softer.